Dixie Shootout - Dixie Shootout kicks off this weekend at NSQMRA! Dixie Shootout kicks off this weekend at NSQMRA! Don’t forget to register for this weekend’s race at NSQMRA in New Smyrna Beach, FL! Online registration closes at 10PM EST Thursday night (3/1/18). Online registration is available under Race Entry -> NSQMRA 3/3/18. More info available here. You must also be a Dixie Shootout member ($20 per family per year). You can register online under Race Entry -> 2018 Membership. Practice is optional on Friday night. The cost is $10. There will be another round of practice on Saturday morning immediately following the driver/handler meeting at 8AM. A huge THANKS to this weekend’s sponsor, Ally Bank. 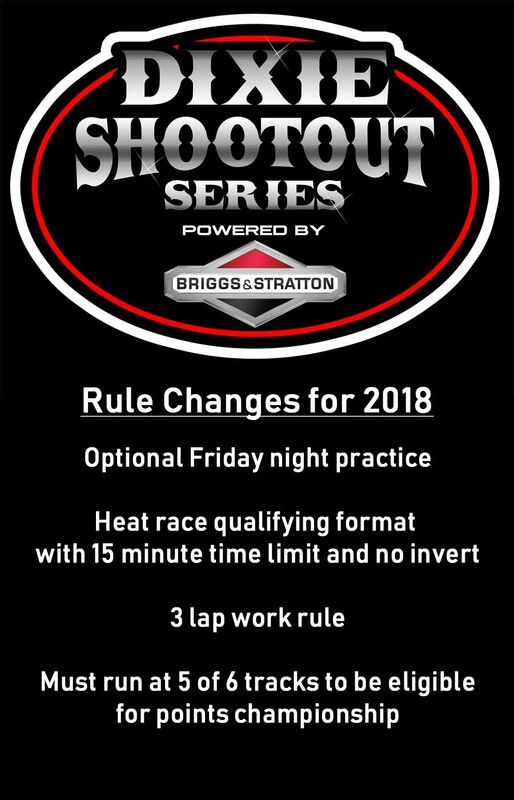 Dixie Shootout rules have been updated and are available under About -> 2018 Rules. We will not be printing booklets this year however if someone needs a copy they can download a printable copy online or e-mail Heather McFarland at secretary@dixieshootout.com and she will send them a copy. Thank for your understanding. © 2019 Dixie Shootout. All Rights Reserved. Site design by High Cotton Solutions.